I thought it would be informative and fun to create a fictional contractor and share his average day with you. – The program was not a franchise and he could reap 100% of the benefits of his effort and labor. – The cost of entering the business at $55k included every piece of equipment he would require as well as training. He checked with prior HMI customers and found their ongoing support and service to be unmatched especially during his initial training/learning period. – Although he had never worked in the trades or even considered working with concrete, he was impressed that concrete lifting and leveling, utilizing a polyurethane system, required little physical effort and could command very high profit margins. Bill attended HMI’s Discovery and Training Seminar, purchased his system, allowing HMI to apply his training investment into his equipment purchase. He has been in the business as an owner operator for approximately 15 months as he is entering his second season following a spring thaw. He followed HMI’s recommendation and utilizes the ESTIMATE ROCKET APP as his: estimating, CRM, E Marketing, Invoicing and Scheduling programs. This costs him approximately $70 a month for two licenses since his wife June handles the phones for new inquiries and his son Jon works with him supporting estimating and project work on his days off and weekends. Bill experimented with a number of the marketing initiatives recommended in HMI’s training and he now enjoys an average 20+ requests for estimates a week and is closing over 60%. He is especially pleased that nearly 50% of his leads are referrals from: prior customers, other contractors, and various complimentary businesses: like pool installers, commercial real estate brokers, other concrete installation contractors, and even attorneys specializing in trip hazards. His initiatives to spawn referrals when he first started, has paid off in lowering his cost of sale. 4:00 PM WED – Bill has just returned from a busy day of 3 completed jobs and 2 estimates. He stores his van based polyurethane lifting system in his garage. He also stores a tote set of polyurethane A & B in the next bay. He removes the front end of his HMI EliteONE Gun and let’s it soak in dynasolve for the night. (The limit of his daily maintenance.) Before leaving the garage Bill tops off the two 55 gal drums in his van system with A & B polyurethane components from to totes stored in his garage. Bill enjoys the cost savings and shipping efficiency of supplying himself with Totes vs 55 gal drum sets of material. With his barrels topped off Bill is now carrying the equivalent of 9 yards of material in his van the next day, making him ready for nearly any project he may encounter. 5:00 PM WED – Bill reviews the requests for estimates and pending jobs in the NEWTON area. 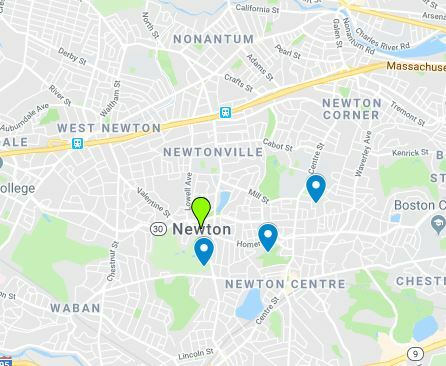 Newton is a city approximately 30 miles from his home and where he plans to work the next day. The Estimate Rocket System plots his estimate and pending job locations utilizing GOOGLE MAPS. He mines tight areas each day minimizing drive time and maximizing pumping time. (Google Maps thru Estimate Rocket also provides driving directions to each location.) Bill begins to call prospects in the area where he would like to also plan estimates for the next day. He has followed HMI’s suggested model and completes 70% of his estimates when no one is home. This helps prevent him from working weekends and nights trying to coordinate schedules with busy homeowners. Bill may, but need not, phone homeowners with projects he plans to complete the next day since the Estimate Rocket System has been set up to email them automatically. In nearly 80 % of his residential estimates and projects the homeowners are at work and no one is home. 7:15 AM THURS –Before leaving the garage Bill reconnected the front end of is HMI EliteONE gun and he is ready to work. Bill enjoys coffee with friends early at a local diner. He already has calculated that his coffee group is responsible for 25 referrals since he has started the business. He arrives at his first project at 8:00 AM in Newton. Upon parking his van he immediately starts his generator, compressor and all equipment. As the first job of the day he wants to make sure his equipment warms up completely. 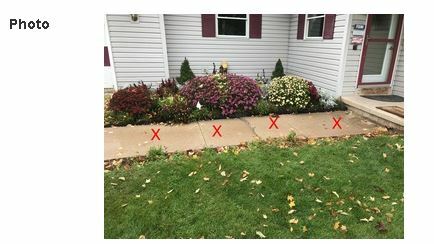 When estimating the work for Mr. & Mrs. Hughes home Bill noted: a sunken 2 pieces of 10’x10’ driveway (including garage approach), 4 pierces 4’x 4’, of walkway to the front door, and pitching a small 5’x10’ back patio, to improve drainage, away from the house. The total project is 314 sq. ft. Considering the nature and depth of the sunken slabs the Estimate Rocket system has told Bill he will use nearly 1 yard of foam at a total cost of $200.00. He suspects he will have to drill 26 holes and will be on the job for 90 minutes. 9:00 AM THURS – Mr. & MRS HUGHES next door neighbor, Mrs. Frankel interrupts Bill’s work and asks that “while he is there” whether he could look at her driveway and also a drainage problem with her back patio. 10:00 AM THURS – Bill has completed the Hughes job and has allowed Estimate Rocket to email and invoice for $1,312 to Mr. & Mrs. Hughes. He has taken pictures of the completed work and has included before and after pictures with the invoice to make it easy for the Hughes’ to forward to friends so he gets more referrals. He is now using the Estimate Rocket and his IPAD only to complete an estimate for Mrs. Frankel next door. He explains to Mrs. Frankel that is it highly efficient for him to complete her project today, while he is there, and that he is willing to provide her with a 5% discount if she is OK in having it done immediately. 11:30 AM THURS – Bill is a bit behind his preliminary plan of a schedule of the day so he decides to eat a quick burger in the van on the way to an estimate about a quarter mile from the Hughes & Frankel jobs. He arrives at the Bloomberg residence at Noon and with the Estimate Rocket he has completed an estimate for a Pool Deck and patio totaling over $2000.00. It was immediately emailed to Mr. Bloomberg from their back yard. 12:30PM THURS – Bill has arrived at the Hinkleman home. Several weeks ago he provided the Hinkelman’s with an estimate for 8 sections for 4’x5’ of sidewalk that the city is mandating that they repair. Bill remembered that the smaller the slabs are more challenging and he has increased to Estimate Rocket suggested pricing from this total 160 Sq Ft Jobs to cover any extra time required to ensure all trip hazards are removed. By 2:15 he has completed the work and has emailed and invoice for $1,300.00 with before and after photos. 3:00 PM THURS – Bill pulls up to the Barker Home where the concrete pad supporting their air conditioning compressor has moved and requires lifting and leveling before there is damage to the unit and connecting plumbing. When initially completing the estimate Bill walked the property and noted required back door steps and porch repair. When presented with an email estimate of $900.00 for repairing all the items Bill listed, Mr. Barker merely clicked OK and responded to Bill with authorization to do the work at his discretion and availability. 4:30 PM THURS – Bill has invoiced the Barkers and has wrapped up his hose. He has decided to call it a night and drive home. 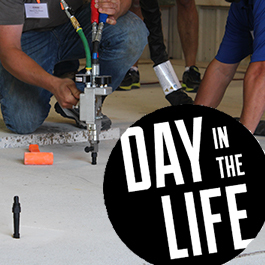 He is disappointed since he was looking forward to stopping by a distribution warehouse to estimate a slab curl project identified by a property manager he had given and demonstration to weeks after he equipment arrived. Bill is anxious to further develop the commercial and governmental segments of his business. This remains one of his top goals for 2019. But the warehouse is a 7/24 operation and he and his son can make a trip out Saturday to share the experience of a commercial stabilization bid. He has been trained by HMI to bid this project by linear foot and to use a unique 5lb. foam for this specialized application. 5:00 PM THURS – Back in his garage Bill is removing the front end of his EliteOne Gun for its nightly soak. He is now into his end of day ritual looking forward to (Friday) tomorrow where he will focus on Sunnyville Township a little closer to home. As he is topping off his barrels in the van he is mentally reviewing the day. This leads him to the realization that he must squeeze one more thing into tomorrow’s schedule. Somewhere on his route in Sunnyville he must stop at the Bank to make a deposit. AUTHOR NOTE – The characters and events in this blog are fictitious. Any similarity to real persons is NO coincidence and absolutely intentional by the author. Also of note – although not explicitly stated, like all HMI customers, Bill is a great guy! Paul DelFino is a principal of the consulting firm Opportunity Inc. For over two decades he has assisted entrepreneurs in growing their businesses, responding to economic downturns and merger and acquisition activity. He has consulted with HMI and RaiseRite for nearly two decades. His publications include “Avoiding Skewed Entrepreneurial Strategies” available from all on line booksellers.